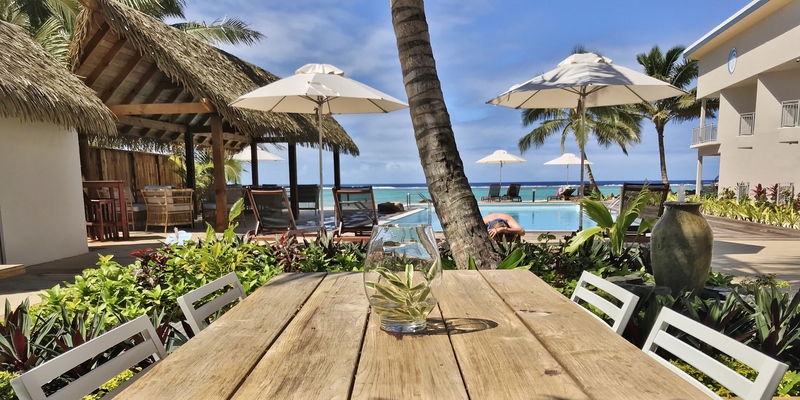 Situated on a stunning tropical island, Intercontinental Moorea is subject to a variety of weather conditions which must be considered when developing a beautiful, usable and practical space for their guests. 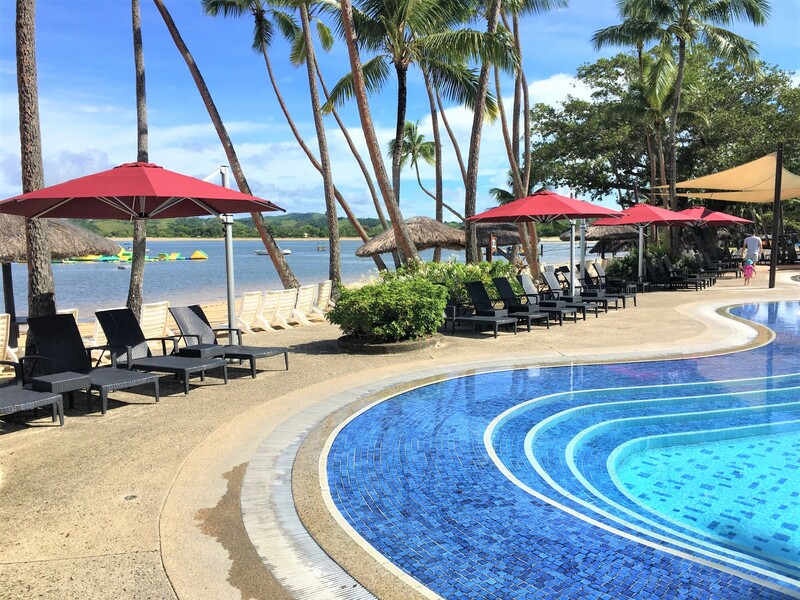 Intercontinental Moorea needed a solution that would encompass a large space and ensure sun and rain protection over the outdoor dining area. 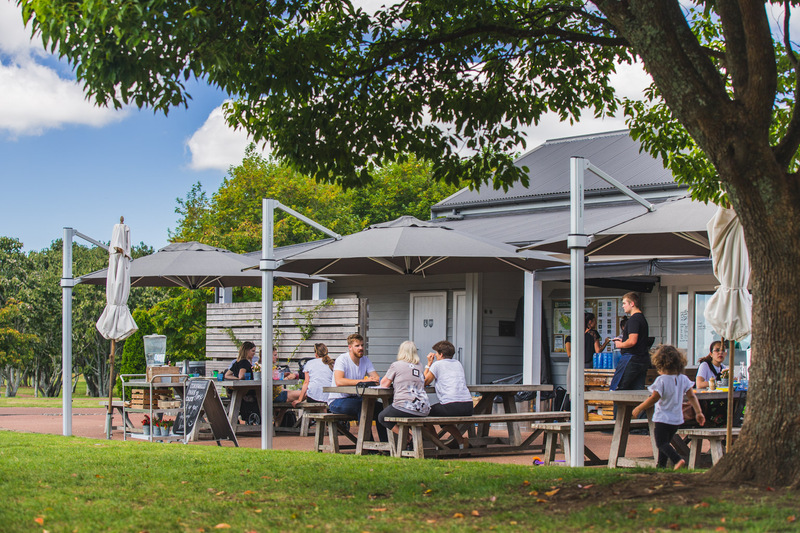 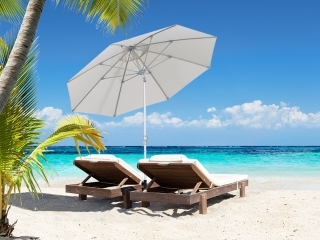 Shade7, a New Zealand shade specialist, were approached to assist with the project, resulting in the export of 8 Tempest Commercial Umbrellas to the resort. 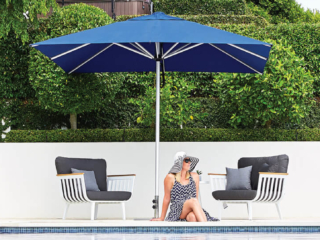 Shade7’s Tempest Commercial Umbrellas are one of the strongest and most durable large retractable umbrella on the market today, designed to handle wind speeds up to 100kph. 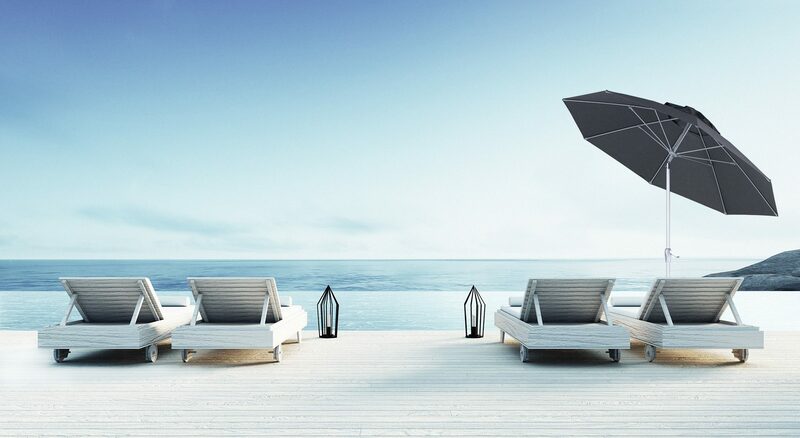 These umbrellas are not only visually striking but met the practical needs of Intercontinental Moorea. 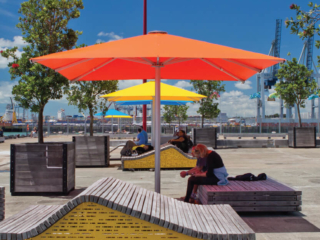 One of the most important requirements were that the umbrellas needed to be extremely large so that they could cover the maximum seating space. 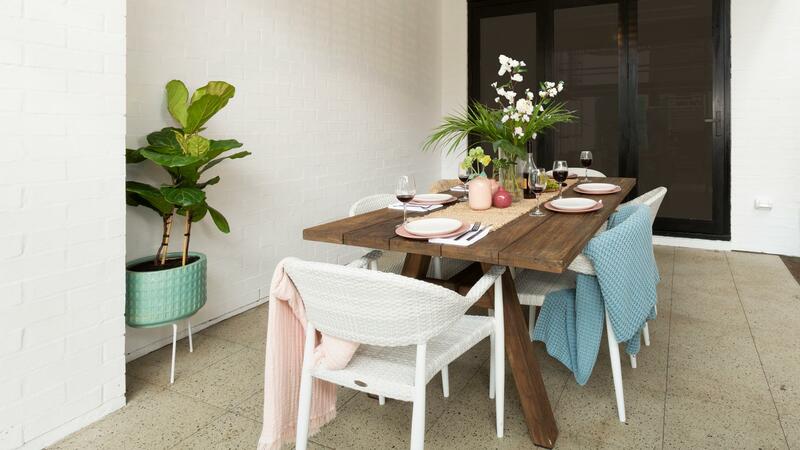 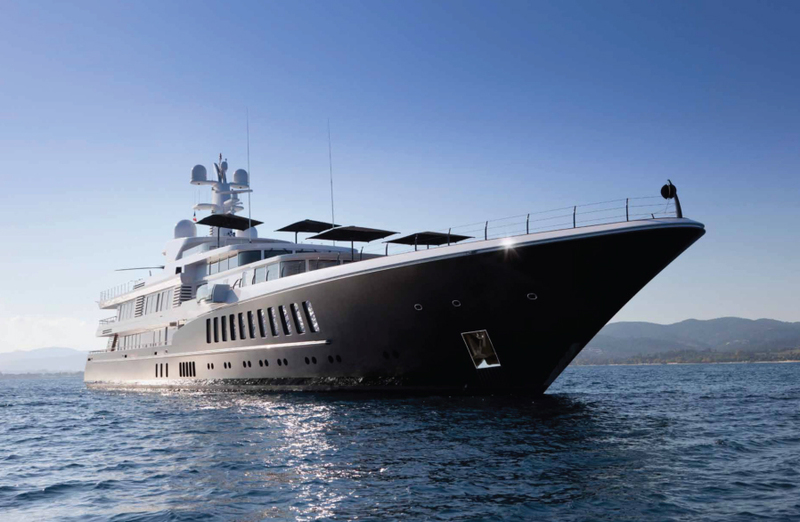 The largest size, 5x5m square, was selected for this very reason. 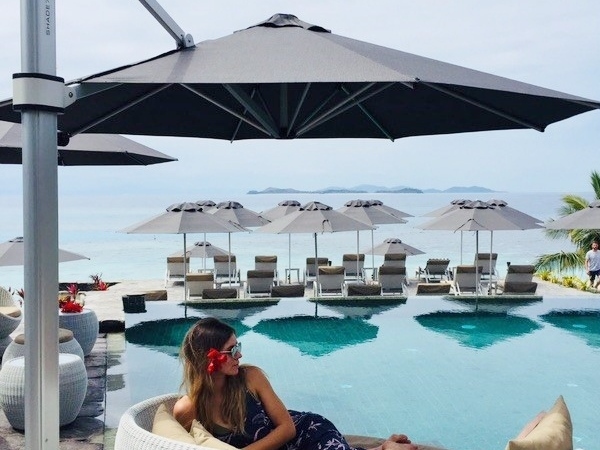 French Polynesia’s weather conditions were also a large consideration when selecting the right product. 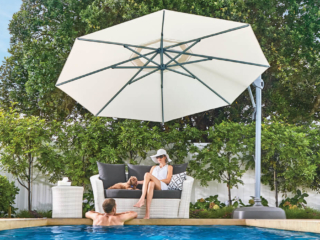 Shade7’s umbrella fabrics have the highest UPF 50+/SPF100 rating, which cut out 98% of harmful UV light allowing for maximum sun protection. 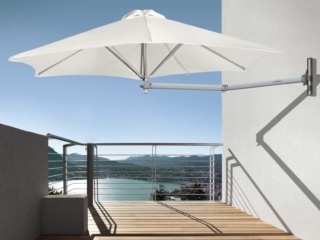 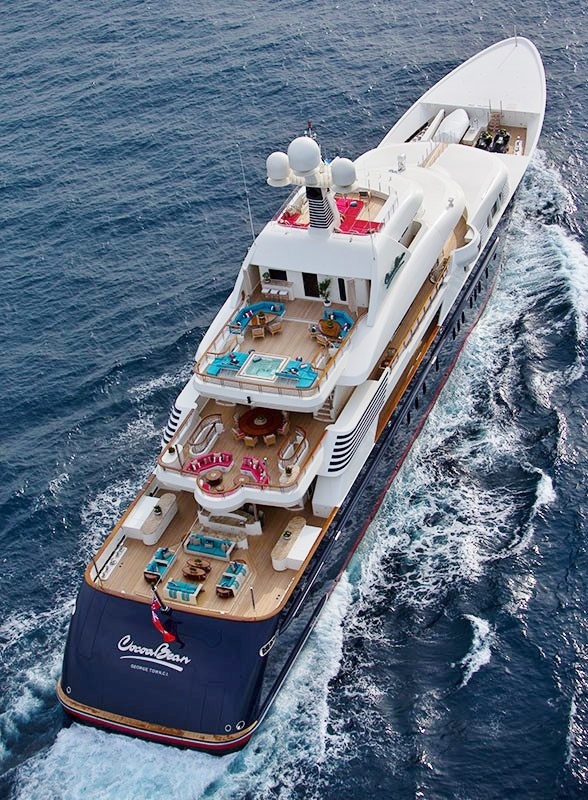 The Tempest is made from aluminium ensuring that the umbrella will not rust from the rain and sea spray. 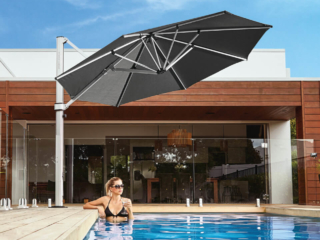 It has also been designed with an internal gearbox system which gives the flexibility to retract the umbrellas for any adverse weather conditions. 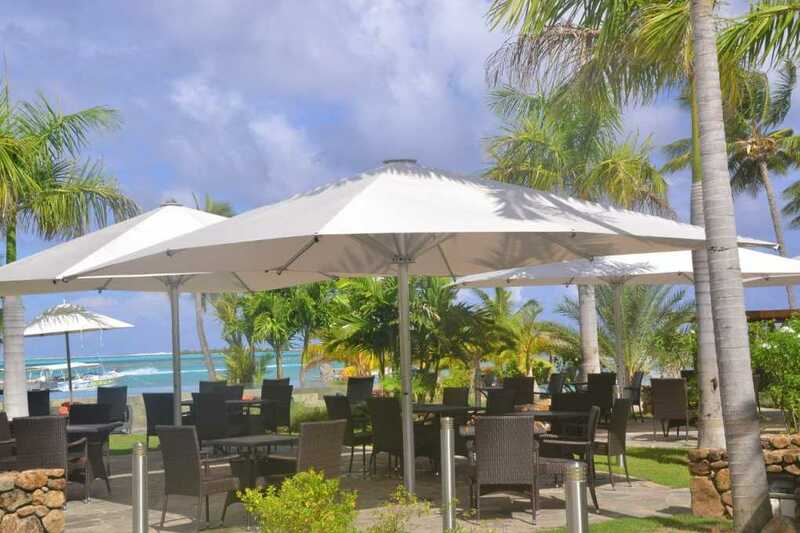 The key features of the Tempest Commercial Umbrella made it the ideal solution for Intercontinental Moorea. 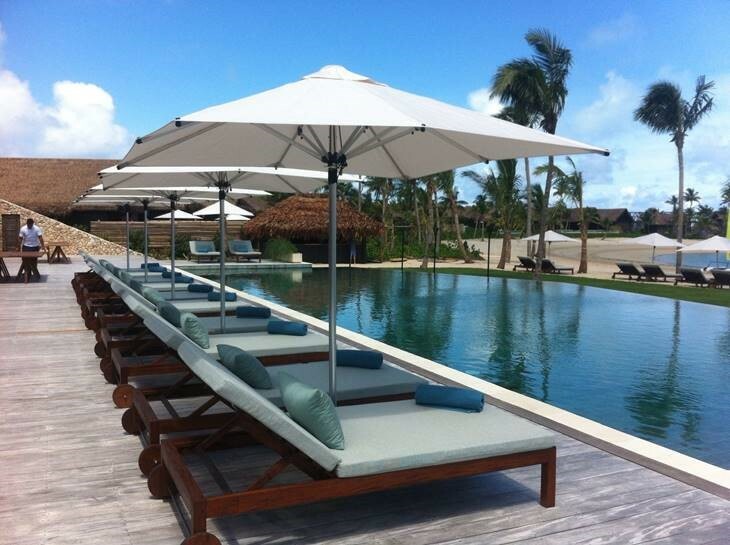 The umbrellas have been fitted and are now in use in their new development, which will see a high volume of use all year long during the day and evening. 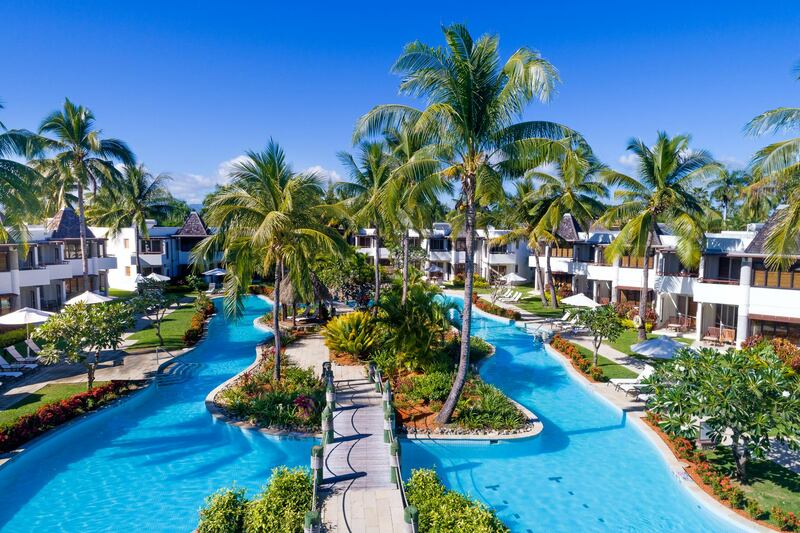 Please visit Intercontinental Moorea Resort and Spa for further information on their resort.